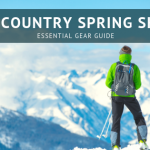 As backcountry skiing becomes more popular and we see resorts opening more sidecountry (unmaintained and uncontrolled) terrain, the demand for better hybrid/crossover gear increases. We should be able to use the same gear in-bounds as we use out-of-bounds, ranging from the skis or snowboard you ride on to your clothes and the pack on your back. 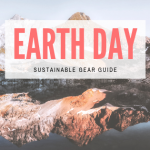 Jackets and pants that are waterproof enough to protect you from wet and heavy snowfall while sitting on a chairlift should also breathe well, lightweight and have little bulk for when you take them hiking or skinning uphill. Skis that turn and float well in powder should also make excellent GS turns, and must weigh less and be flat under-foot to maximize efficiency when touring and skinning uphill. 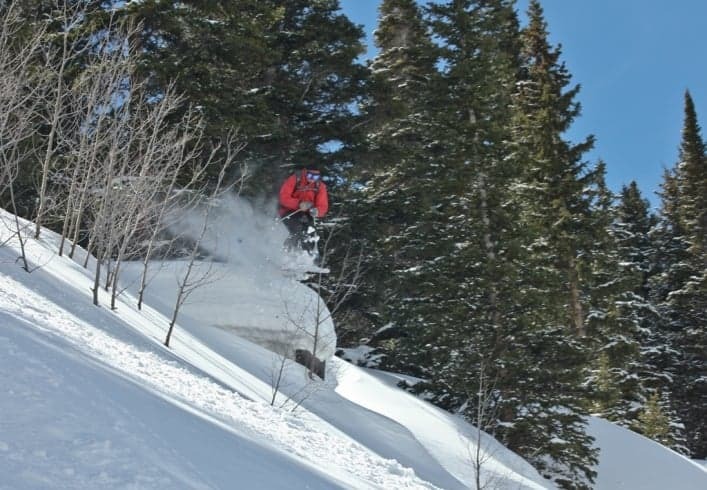 AT bindings (Alpine Touring bindings) that are durable enough to support big cliff drops and are bomber through the moguls should also be uphill-capable and lightweight so skiers can go in and out of the ski area boundary with one rig. 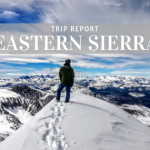 Tahoe Mountain Sports can style you out in all the sidecountry skiing equipment you need to stay comfortable and mobile no matter the terrain you venture into. From the serious backcountry ski mountaineer to the in-bounds weekend warrior and everyone in between, our high-performance outerwear and technical ski gear accommodates all purposes and all styles. Listed below are just a few of the many products we carry that are ideal for riding both in and out-of-bounds. 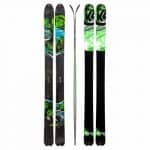 These deep powder skis are perfect for resort powder-hunting and sidecountry excursions, and come ready and willing for full-on backcountry expeditions. 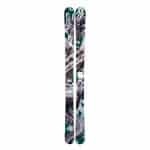 K2 Sidestash skis for men, K2 Sidekick skis for women. Perfectly pre-cut K2 Sidestash/Sidekick climbing skins sold separately. 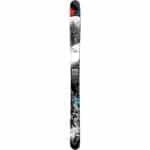 A full rocker low-profile ski that maneuvers very well and can handle big landings, Volkl Katana skis are a great “quiver of one” for those who wish to rip hard absolutely everywhere. 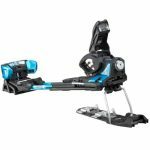 A twin rocker ski with great flotation in powder and stability on hard-pack. 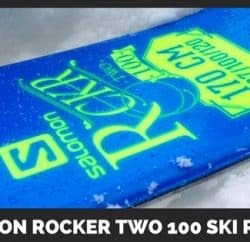 The Salomon Rocker 2 spins and pivots on demand with a smooth and playful surfy feel, and rides switch-stance just as well. A low-profile AT binding that sits only 26 mm tall and has a wider platform than most, so you feel more in-tune with your skis. 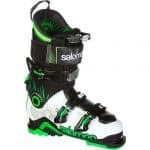 A hands-free automatic step-in makes getting in and out easy, and a removable 115 mm brake and advanced Hike/Ride technology make the durable Salomon Guardian Alping Touring binding ideal for skiing powerfully both in-bounds and in the backcountry. All-mountain Alpine Touring boots that hike well and ski even better. Twinframe technology, quick and easy hike/ride adjustment, and a 98 last that stretches to 104 last make the Salomon Quest Max 120 one of the best AT boots on the market. These ultralight and pack-able Black Diamond touring skins are thinner than Black Diamond Ascension Skins and slide with little effort. GlideLite Mohair skins come with tail clips and allow up to 20 cm of length adjustment. This skin is great for touring and fits easily in a backpack, making days split between in and out-of-bounds even easier. 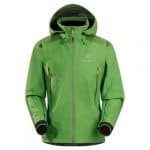 This light and durable jacket is fully waterproof and boasts superior ventilation during high-output activities. The Beta AR Jacket has all the technical features you’d expect in a top-performing ski hardshell and will keep you warm and dry during all-day adventures. These four-season waterproof pants pack down small and provide everything you need for resort, backcountry or sidecountry excursions. 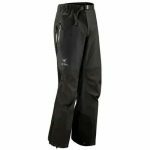 3-Layer GORE-Tex and windproofing make the ArcTeryx Beta AR some of the best ski pants out there. 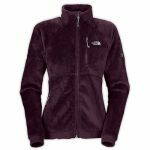 This ridiculously comfortable North Face fleece jacket is designed for moving and grooving in cold temperatures. The Scythe Jacket keeps you warm and is super-soft on the skin, with stretchy side panels for greater range of motion. This top is lightweight and packs down small, and comes from the The North Face Summit Series line. A lightweight and technologically superior helmet with dual ventilation zones that can be easily opened and closed while on the move. When the Smith Vantage is worn with Smith goggles, the pair’s seamless integration prevents fog better than the rest, so you don’t have to stop and waste time changing into a beanie or sunglasses. 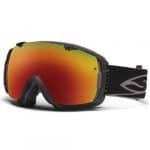 These goggles became popular for their simple lens interchangeability, but the Smith I/O is also awesome because they manage moisture incredibly well and have some of the best ventilation, that the user actually has the ability to regulate. 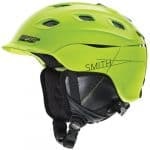 They fit seamlessly with Smith helmets, and offer wide peripheral vision and great depth of field. 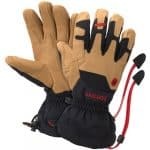 This is one of the best ski gloves around, and also a great alpine climbing and mountaineering glove. Since it is waterproof, windproof and manages moisture so well, the Exum Guide Glove is ideal for many uses and would make a terrific sidecountry ski glove. 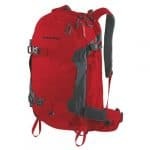 This top-of-the-line 35 liter backpack has all the technical features you need for a day in the mountains. Ice axe loops, a padded goggle pouch, EVA back padding, and a padded hip-belt are only a few of the awesome features that make the Nirvana backpack one of the best ski backpacks for sidecountry, backcountry or days riding the lifts. 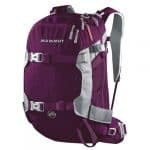 A women’s 20 liter backpack perfect for all-mountain skiing and freeriding. The Niva Ride has vertical straps for skis or a snowboard, a separate pocket for avalanche safety equipment, and is compatible with hydration systems. There are just too many cool features to mention that make this such a great ladies ski backpack. See for yourself! 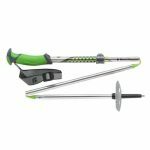 This four-season aluminum ski pole is super lightweight with 20 cm of adjust-ability. Compactor ski poles utilize Z-Pole technology to fold down small enough to fit in a backpack, also making them ideal as snowboard poles. Please Ski Responsibly! Always be careful when exploring the backcountry or traveling out of any ski area boundary. These areas are not controlled to prevent avalanches, so it’s all up to you and your partners when you venture out-of-bounds. It is best to carry a beacon, shovel and probe, and to know how to use them in case of an avalanche or burial situation.